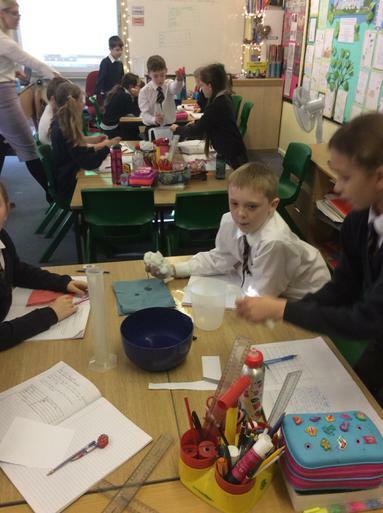 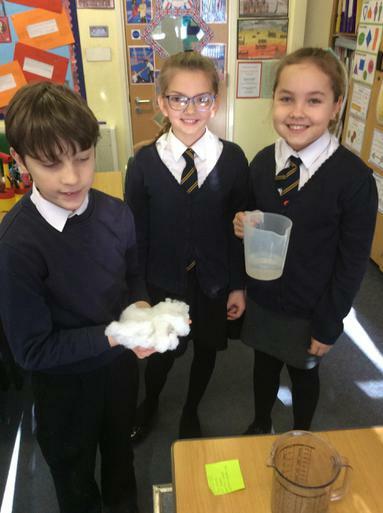 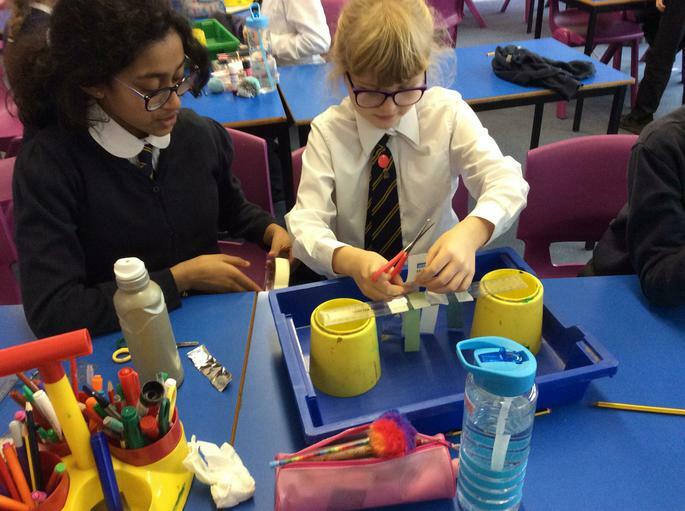 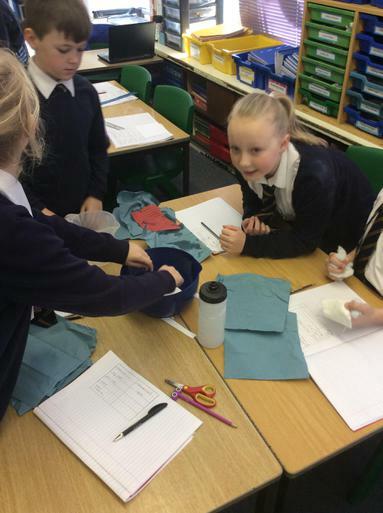 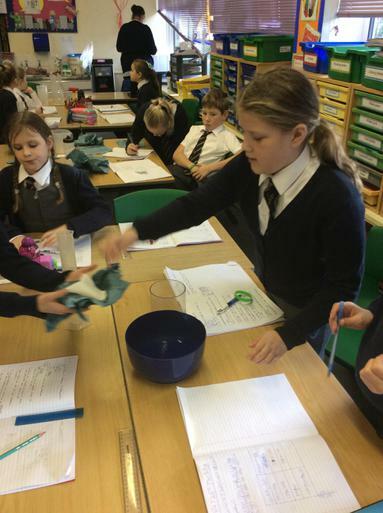 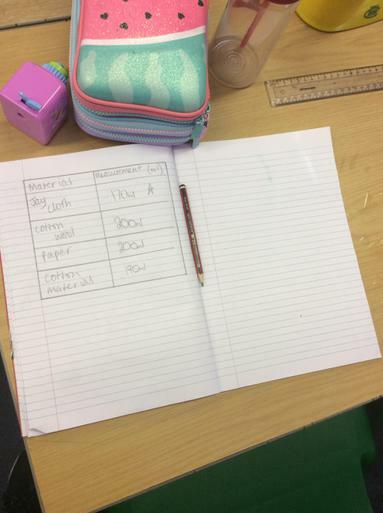 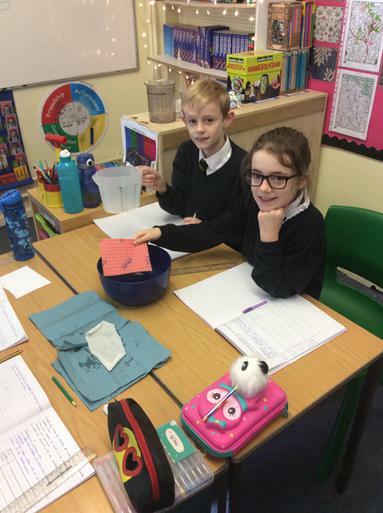 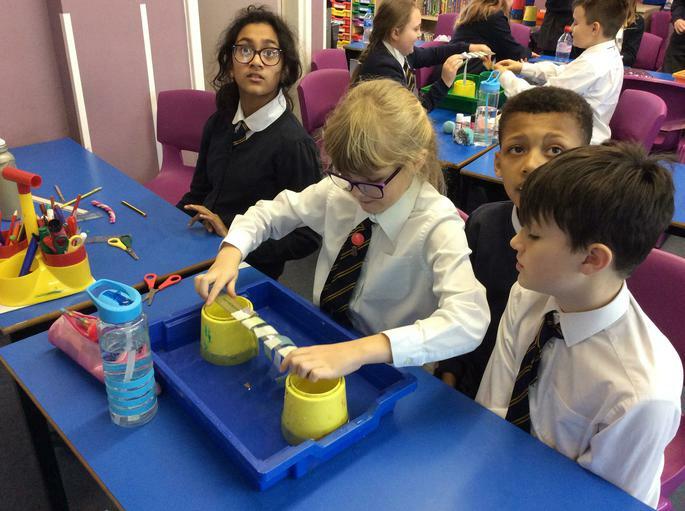 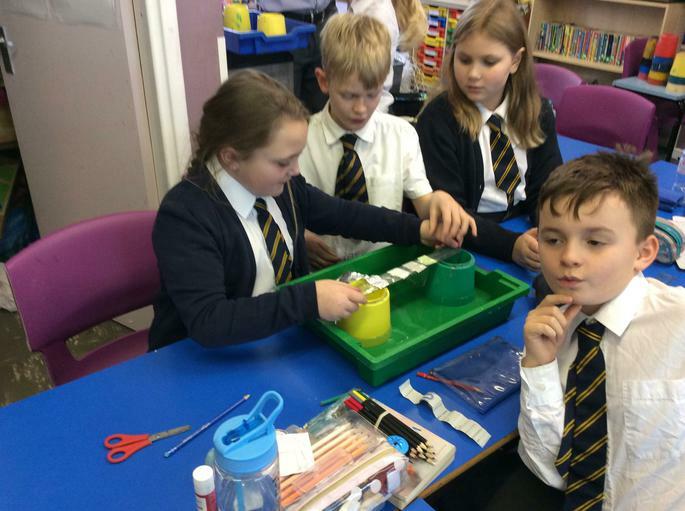 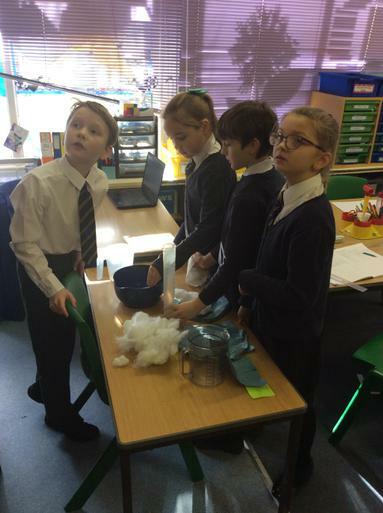 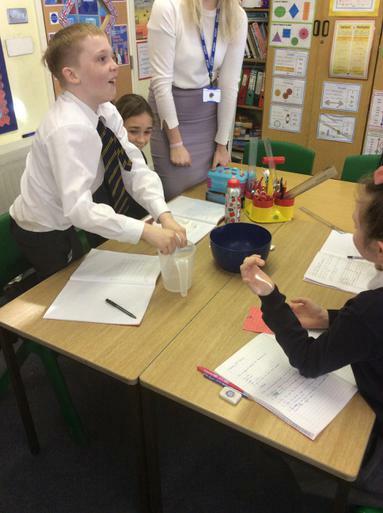 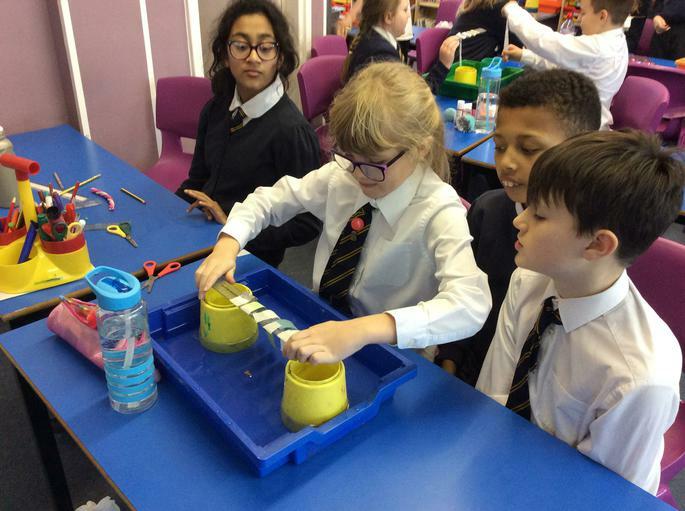 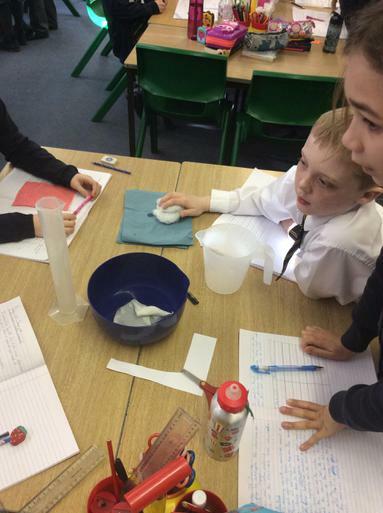 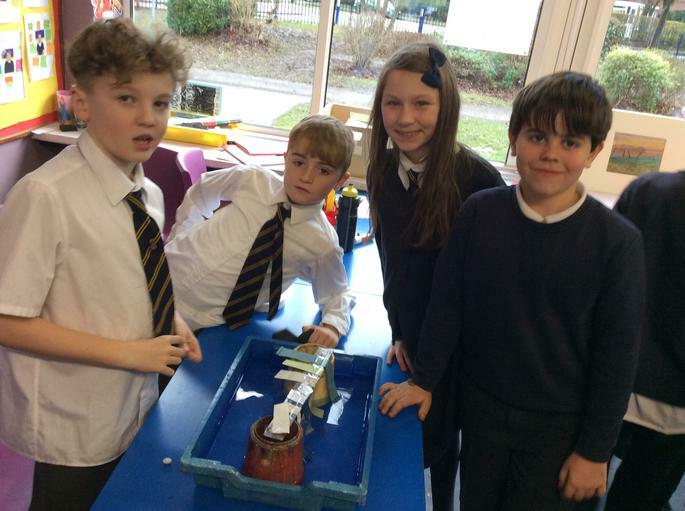 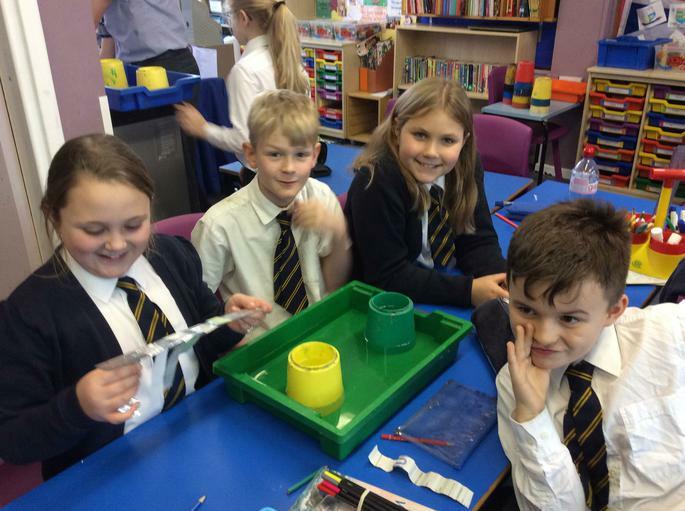 This term all the year 5 classes have been looking into investigations on absorbency. 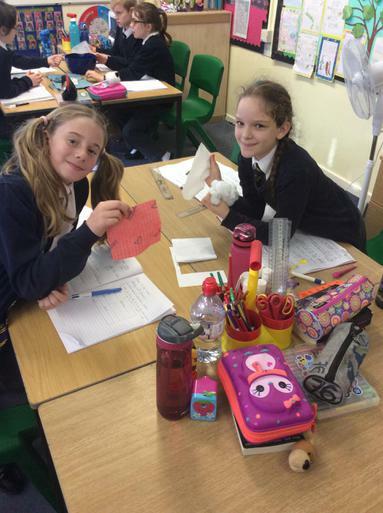 Our pupils were given 4 different types of paper; foil, kitchen paper, paper towel and card. 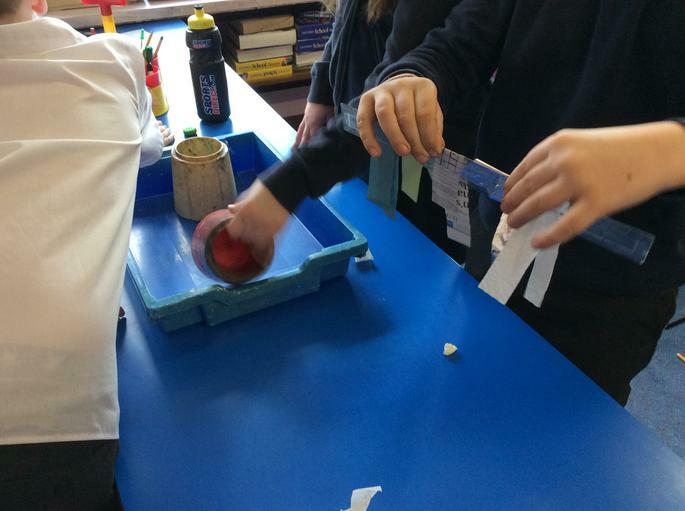 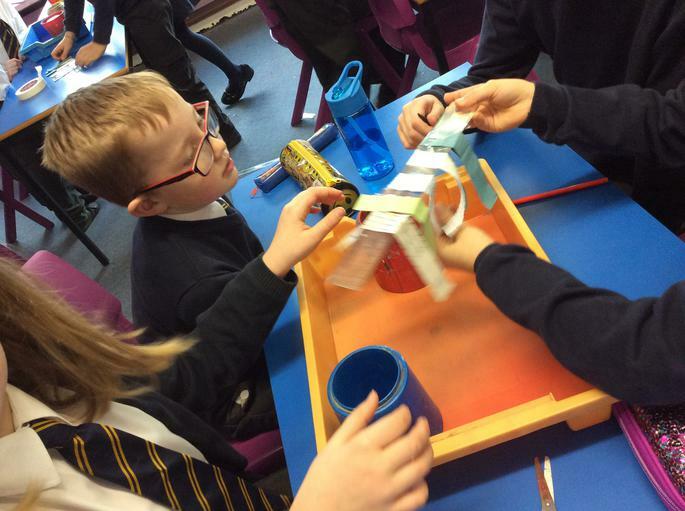 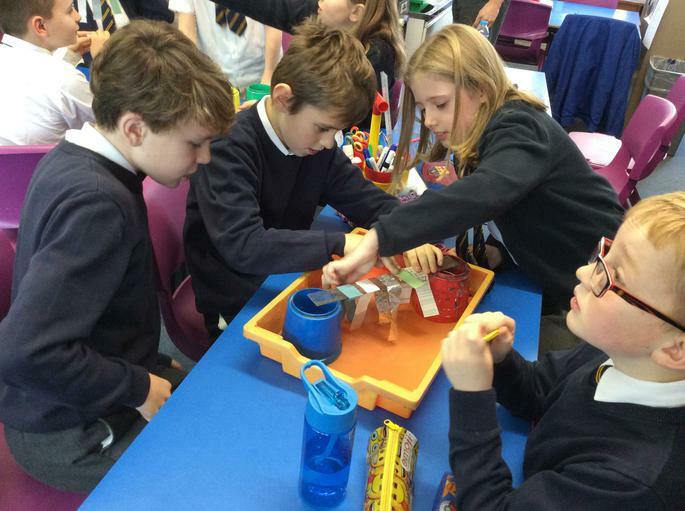 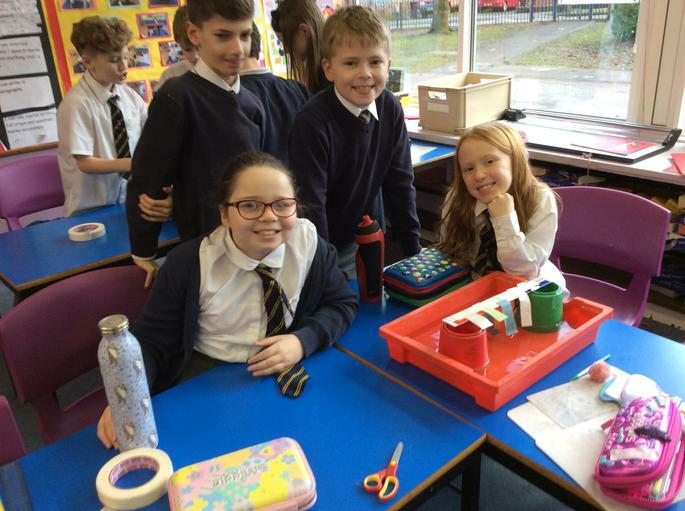 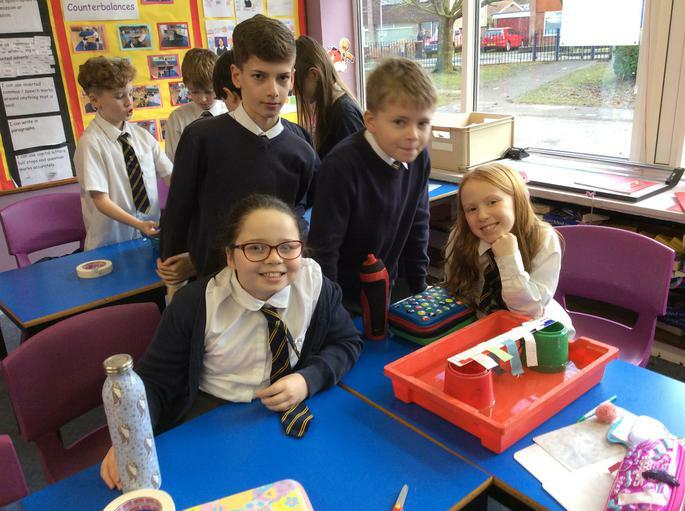 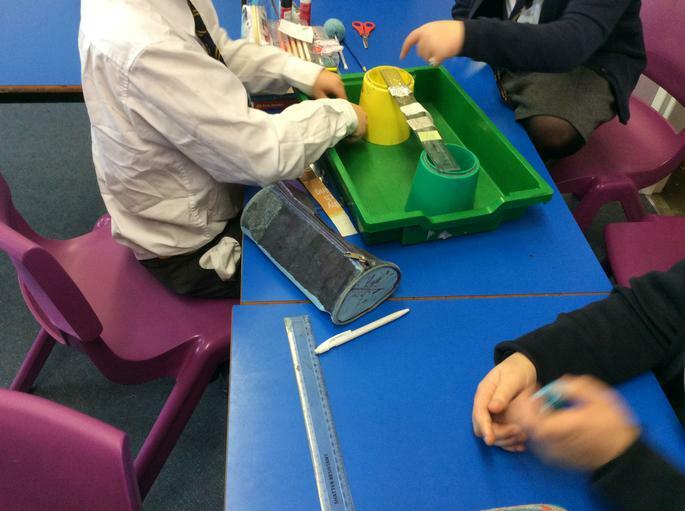 They then had a tray of water with a ruler suspended over it with the 4 different strips of paper hung over the ruler, then the children timed how long it took the paper to absorb the water. 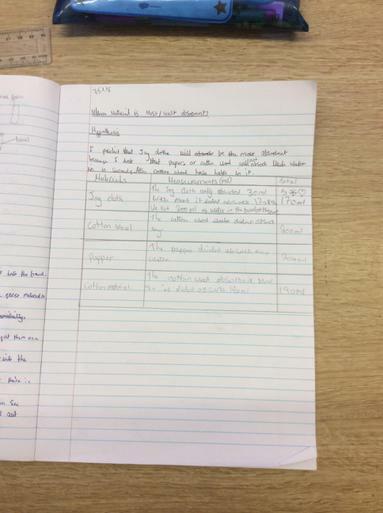 The pupils have had a lot of fun covering this topic!